In the village of Namarel, in Podor, cattle are extremely weak due to the deficit of grass and water since 2017. After the first rains of this year, many fell sick and died. 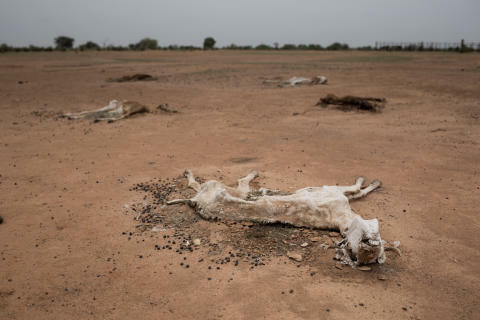 London, August 13, 2018 - Senegal and the cross-border region with Mauritania are experiencing the third episode of severe drought in six years, after 2011 and 2014, leaving close to a quarter of a million people without food going into the ‘hunger season’. “As early as October 2017, we began to warn of the impending food crisis caused by the rainfall deficit recorded that year. 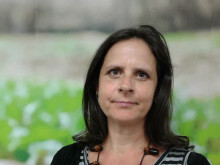 Now, in the middle of the hunger season, reserves of the last harvest have already been exhausted, and food insecurity is now affecting 245,000 people in the four districts of Podor, Ranerou, Kanel and Matam,” explains Fabrice Carbonne, Country Director of Action Against Hunger in Senegal. Podor and Matam in northern Senegal have suffered the highest prevalence of acute malnutrition cases in the country in recent years. According to the rainfall data in the Department of Podor, 2017 seasonal rains decreased by 66% compared to the previous year, and the subsequent production of pastures in the valley of the Senegal River is now scarce - one of the most alarming deficits in all of West Africa this year. "Due to the depletion of pastures, clashes between nomadic pastoralists and farmers have intensified over control of resources," explains Carbonne. 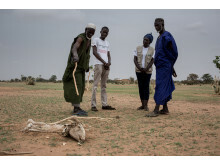 “The drought situation also adds to the risk of disease spreading among the animals and lower production of milk and meat, with potentially dire consequences on nutrition, particularly amongst children. “Many cattle are now dying and, with them, the main sustenance of many thousands of shepherds. Action Against Hunger is now funding the rehabilitation of ten drinking troughs that will benefit 800 families from four communes in Podor. It is hoped that these activities will increase pastoral production in order to strengthen the resilience of the poorest families and thus respond to their immediate food needs," says Carbonne. A three-month food assistance campaign targeting 2,150 of the most vulnerable households has also been launched by the agency to help prevent further rises in acute malnutrition rates, including monthly monetary transfers to cover basic food expenses. "Mothers are being trained to evaluate the nutritional status of their children under five years of age using a MUAC (Mid-Upper Arm Circumference) tape. Severe malnutrition cases will then be referred to health posts centers depending on the severity of the cases," Carbonne adds. Additionally, families with children between 6 - 59 months and pregnant and lactating women are receiving enriched flour, made from local cereals with mineral and vitamin supplements. Action Against Hunger is a global humanitarian organisation that takes decisive action against the causes and effects of hunger. We save the lives of malnourished children and work with their communities before and after disaster strikes. We ensure that everyone can access clean water, food, training and healthcare. We enable people to provide for themselves and we constantly search for more effective solutions, while sharing our knowledge and expertise with the world. We push for long-term change. We will never give up. Until the world is free from hunger. In 2017, Action Against Hunger helped more than 20.2 million people in nearly 50 countries around the world. Prior to publication, it must be approved by Action Against Hunger. 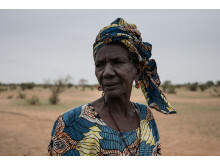 • Continued attacks by armed groups in northern Mali caused a new wave of 1,000 refugees to flee to Niger this December. Close to 55,000 people had already fled across the border by December 2018. 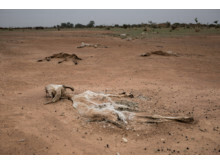 • Refugees and displaced people face lack of water, just one meal per day and loss of livestock. • Action against Hunger is deploying an emergency response to help more than 20,000 people. The Sahel has experienced a greater increase in hunger over the past decade than any other region - yet hunger is not inevitable in the Sahel.